We owe it to the people whose lives we destabilized to give them the life that they deserve. Europe has a big role to play in this. Unfortunately, the EU has not lived up to that responsibility. We should have a common refugee policy and, at the external borders, we should already receive the refugees. In North Africa, we should have EU hot spots where we could distinguish between migrants and refugees to decide of their status then and let them into Europe with their families, so they wouldn’t have to take a boat and risk their lives. We need migrants and refugees whom we could tell that we are not doing it out of a good heart, but because we need them in several ways. In Denmark, when refugees come, it takes us one year to give them a refugee status. In others words, we make them clients. Every year, more than 20% of their work ability disappears when they remain in refugee camps. If they already had refugee status, we could start to use their abilities. In Denmark, there are areas where people don’t want to live any more, with no schools, hospitals or stores. So we could develop these regions again with the refugees. Diversity is a very good thing. Societies where people are equal and diverse are the best. We need equality in finance, but diversity in culture. If people can keep their own culture when they come to our country, they would feel welcome. We are all signatories to the UN refugee conventions. Therefore, people have a right to be refugees in our countries. Unfortunately, a big part of the world is saying they don’t want to be part of the convention anymore and this is very dangerous, because it is now that it is needed. When I came back from the Philippines, President Duarte said he was going to redraw from the UN, but the next day he said he withdrew this statement, saying he only said it because he was tired, frustrated and hungry! We are afraid of Moslems, at least in Denmark. We think they are violent terrorists. We should look at the Middle East. The countries around Syria took in many refugees and treat them very well. In the Philippines, I studied women’s reproductive health and rights. The law giving women the right to contraception took 14 years to be passed, because the Catholic Church opposed it every step of the way. Let’s not judge other religions. We need to help the host countries. We have agreed upon the 17 sustainable development goals up to 2020. To tackle equality and environmental problems, we should have a tax on economic transactions (Tobin tax). We need empathy because this world is ruled by fear. We need migration and, with hot spots, we can welcome refugees, whom we need, and we owe it to them to develop a proper taxation system so we can receive them properly. Then we can have a development in the world instead of war, fear, distancing between different religions. Mrs. Sandbæk is a member of the Danish Parliament for the Alternative and a spokesperson on development cooperation and ecclesiastical affairs. She is a former member of the European Parliament (1989-2004), where she worked for women’s reproductive rights among other things. She also has been socially engaged in the Palestinian territories, where she has held courses in yoga and meditation for former politically imprisoned women. 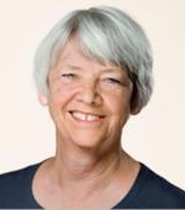 She holds an MA in theology from Copenhagen University and practiced as a vicar from 1971 to 2004. She is also a teacher in the art of living. ILC London - Hon. Ulla Sandbæk, Member of Parliament, Denmark from UPF Europe on Vimeo.